JMI's Classical Committee started working on a questionnaire in the first months of 2015 and issued it in early April. At this point the Classical Committee would like to thank all members who took part in the questionnaire – the participation was quite high! The evaluation of the questionnaire is still in progress and the results and conclusions will be presented at the AGA 2016 in Bergamo. But one thing appears to be certain: Classical music does play and important role in a large number of JM countries and will have it’s part in defining the profile of JM in years to come! Not only the expectations in terms of work and output were high, also Vienna kept its promise once again and offered interesting things to see and hear, all next to culinary delights for which the city is well-known. 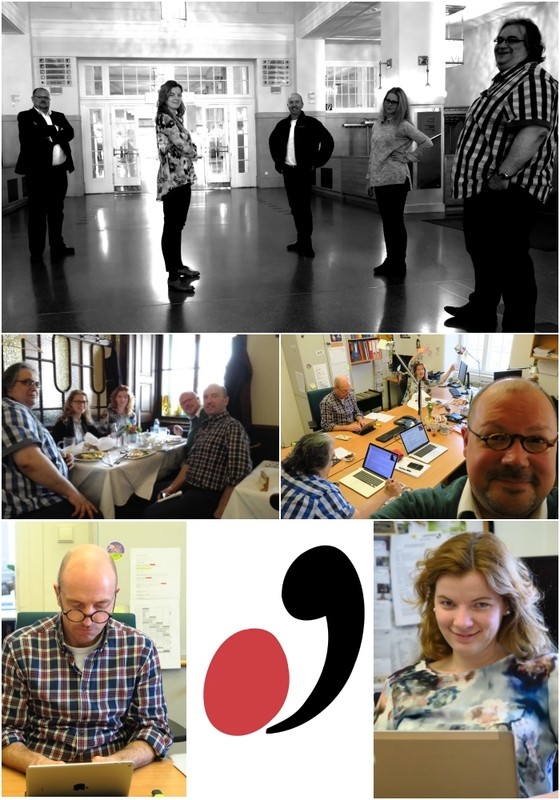 The photo collage shows a bit more about the one-day meeting of the Classical Committee, at the end of the day there was still some time for a cool photo shooting. The meeting’s finale was a group activity: We heard a great orchestra concert with the Vienna Symphonic Orchestra under the baton of Ingo Metzmacher at the famous Musikverein.